It’s not every night one goes to dinner at a stately home. But then pop-up banquets in novel, historic settings are something of a speciality of London-based dining collective The Art of Dining. 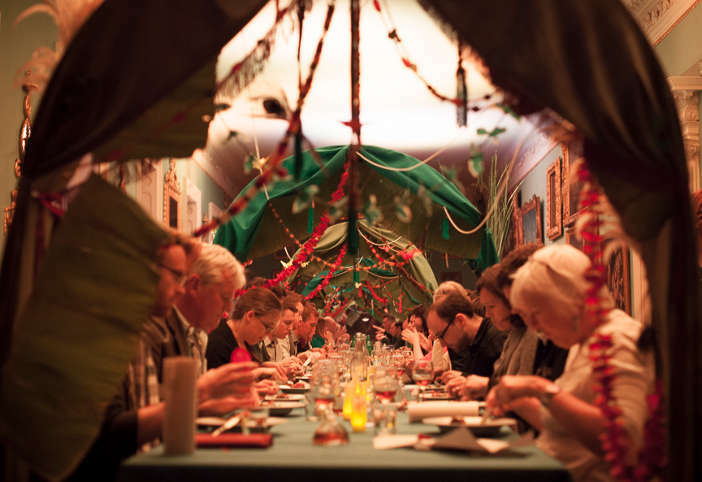 The brainchild of Moro-trained chef Ellen Parr and set designer Alice Hodge, its previous immersive suppers have included ‘Trade Secrets’ at a 17th century merchant’s house and ‘The Servants’ Supper’ in the Orangery of Ham House in Richmond. Their latest venue is another National Trust property, Osterley Park. The estate’s long, winding driveway begins just off the A4, a few minutes’ walk from Osterley tube station on the Piccadilly line, yet once within its walls London seems a thousand miles away from this bucolic haven. Cattle and ponies graze in the fields on either side, while ducks and magpies strut across the pathway. As the sun sets, the final sweep emerges from behind an enormous weeping willow onto the lake, across which we get our first glimpse of the Robert Adam-designed house, dubbed ‘the palace of palaces’ by Horace Walpole. As entrances go, this one takes some beating. Despite the grand surroundings, inside it’s a surprisingly relaxed affair. There are as many guests wearing jeans as there are dinner jackets, and co-organiser Alice is on the door welcoming arrivals. With a bitter lemon cocktail in-hand, everyone proceeds to the aptly named Long Gallery and takes their seats on one seemingly endless dining table, decorated with canopies of peacock feathers, vibrant silks and origami birds. The reason for the Oriental theme? It all links back to Sir Robert Child, who was chairman of the East India Trading Company and Osterley’s owner in the early 18th century. The event’s beautifully presented menu – an old-fashioned map of the Orient, folded and fastened with a red wax seal – shows that we’re about to begin a culinary odyssey around the Asian countries he visited. First stop is Japan, where the classic flavours of endamame and pickled ginger complement a delicate morsel of silky black cod. It’s served with a crisp, citrus Picpoul de Pinet, Grain Marin 2013, one of the five whites (reds are, presumably, off-limits in case of any spillages damaging the antique upholstery) featuring in the ‘Wine Flight’ option, which pairs a different glass with each course for a rather reasonable £20. It’s a nice touch that these are decanted and served in individual stoppered bottles. Next, we head to China for pork cheek and Szechuan greens, accompanied with sachets of sesame seeds for sprinkling. For me as a non-meat eater, a melt-in-the-mouth slab of grilled aubergine made a wonderful substitute, although I was told by other diners that the succulent, slow-braised pork was in fact the stand-out dish of the night. Then I have my first taste of Gado Gado, an Indonesian salad composed of lightly boiled potato and egg, ribbons of cucumber and shredded greens with lashings of thick, nutty satay sauce. It’s the perfect choice for halfway through the meal – equal parts refreshing and complex. It’s paired with my second favourite wine of the evening, an aromatic Hungarian Apátsági Trammani. The Indian course is by far the most substantial of the five. While the omnivores savour roast spiced lamb, I tuck into a sort of eastern take on cauliflower cheese with crunchy florets and salty chargrilled paneer bound in a creamy yogurt dressing, along with a carrot salad. The journey ends in Sri Lanka with a cardamom-laced rice pudding, a pretty jewel-like scattering of pomegranate seeds, diced mango and pistachios over the top. Warming, sweet spice and creamy rice made this a fine conclusion to the feast, but as far as I’m concerned its partner stole the show – a liquid honey Chateau Carbonnieu 2009 Sauternes, striking rich notes of vanilla, chestnut and exotic fruits. 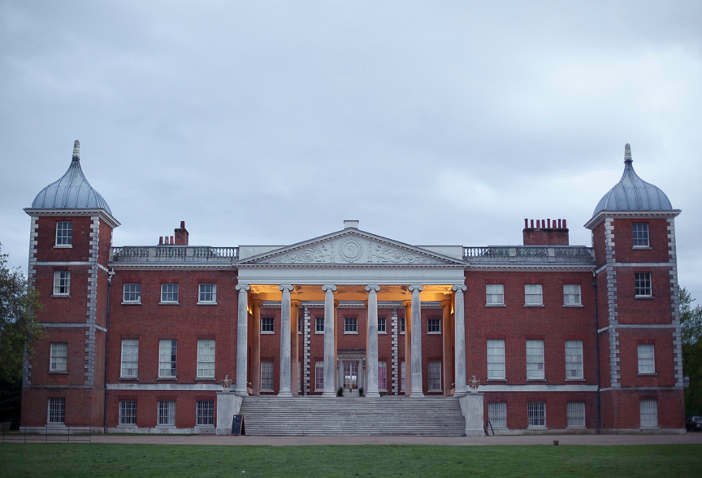 An element of ‘role play’ is a trademark of The Art of Dining’s events and this time it came in the form of an actor dressed as Osterley’s former owner Robert Child. As the invitation said we were “prospective patrons” and Child would be vying for our custom, I’d nervously necked my first glass of wine at the thought of having to perform in public. However, to my relief, his was not a two-way performance, but rather a case of regaling us with stories behind some of the Oriental artefacts in his collection on display around the room. Although acoustics were a bit of an issue as he roamed from one end of the lengthy hall to another, the anecdotes provided an entertaining interlude between courses. Of course, there’s nothing new about pop-up restaurants in unusual places or ‘interactive’ dining ‘experiences’ that make you – sometimes quite literally – sing for your supper. But The Art of Dining’s attention-to-detail and conceptual originality puts their version a cut above the pack. 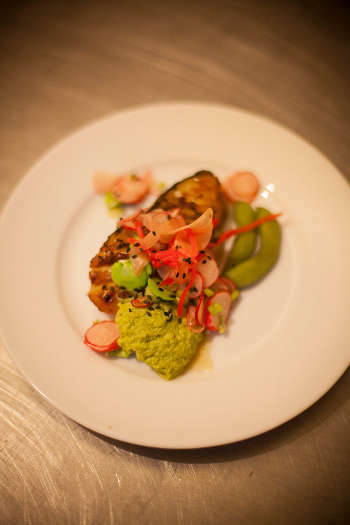 Most importantly, the theatre ultimately takes a back seat to what really matters: the food. Delicious, considered cooking in a lavish, out-of-the-ordinary setting – I’ll be signing up for their next voyage. 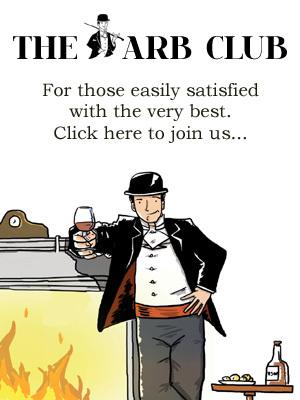 For more information and future events, visit the Art of Dining website.